We are a freelance professional photography studio located at the base of the Catskill Mountains. From engagement and family portraits to marketing and advertising for business local and abroad we can handle any idea a client can bring us. 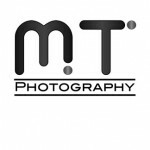 We strive to bring each of our clients the best photography experience around.